I had the joy of uniting with Charlamagne for a terrific discussion of his book, <a href="https://www.youtube.com/results?search_query=%23ShookOne">#ShookOne</a>. We talked about how mental health is a vast need that often goes unmet in our culture. This conversation could empower you to conquer the inner forces that thwart your growth. Someone you know needs this. Is it you? What a tremendous privilege it was to welcome Ellen Johnson Sirleaf, the president of Liberia, to MegaFest. President Sirleaf is the recipient of the Nobel Peace Prize. Her rise to power against incredible odds, and the lasting impact she has made on her country and the African continent is a powerful story that I'm thrilled to share here in the Village. I was recently asked to sit down and have a wide ranging conversation with ATT CEO Randall Stephenson to talk about how corporations like his can tap into Faith based organizations like The Potter's House Church. It was a joy to have this opportunity to discuss some cutting edge ideas about how corporations and churches can work together to change lives and make people and our society stronger and better. Charlie Jordan Brookins is Coming to MegaFest! Tom holds a Master’s degree in Social Work, a Bachelor’s degree in Business, and a C-MAT certificate in Drugs &amp; Alcohol. As a young man, Tom became a successful entrepreneur with a proven track record in small business ventures in the greater New York area. About 20 years ago, Tom started to spend less time in the business world and more time helping those who suffered, as he did, from negative childhood messages. He is a regular on many radio stations and on the TBN television network, and has appeared on other networks as well. He is the best-selling author of <em>The Problem Was Me</em>, with Dr. Abraham Twerski, and <em>Don’t Put Your Crap in Your Kid’s Diaper</em>. His expertise is teaching a methodology which has helped many individuals, couples, and parents build healthier relationships with themselves and each other. His work comes from his experiences in overcoming his own issues, which revealed the process for self-improvement. His obstacles began in childhood when he turned to bullying as an outlet and as an adult, toward addiction. After sabotaging intimate relationships in his own life, Tom realized he had to fix the damage within himself in order to fix the damage he caused in his relationships. Johnny Wimbrey is Coming to MegaFest! Dr. Ronaldo Archer is Coming to MegaFest! Dr. Archer is a bestselling author, business executive, NFL consultant, military leadership consultant, corporate leadership trainer, presidential advisor, and TV Pundit, and he serves as an envoy to Latin America, Africa, Europe, and Korea. He is also the leader of a global human rights movement throughout Africa and Latin America. Dr. Archer was awarded the Martin Luther King Leadership Award for his work in developing the hearts, hands, and habits of third world leaders to transform their nations from chaos to collaboration. Ron Archer has cultivated an extensive following, reaching more than 250,000 people a year through speaking engagements alone, and over a million through satellite simulcasts. Dr. Archer is not your traditional keynote lecturer. He will educate, energize, entertain, and empower you with his personal transparency. Dr. Eddie Connor is a bestselling author, minister, international speaker, college professor, and radio/TV correspondent. He is a survivor of stage 4 cancer and empowers people to overcome obstacles. As an author of 7 bestselling books, Dr. Connor has been featured and hosted segments on BET, CBS, FOX News, NBC, PBS, The Steve Harvey TV Show, The Tom Joyner Show, and The Word Network. Dr. Connor is the CEO of the mentoring organization, Boys 2 Books, which empowers young males via literacy, leadership, and life skills enrichment. The program became the impetus for President Barack Obama’s, My Brother’s Keeper initiative. Dr. Connor is a recipient of The President’s Volunteer Service Award and The President’s Lifetime Achievement Award from The White House. He is recognized as one of the Top 35 Millennial Influencers in America, listed in the Top 100 leaders in Who’s Who in Black Detroit, and named to Michigan Chronicle’s ”Top 40 under 40”. Dr. Connor speaks extensively and works in communities, extending throughout Jamaica and South Africa. Dr. Connor grew up in Kingston, Jamaica and is a proud resident of Detroit, Michigan. The political divide in America got center stage treatment at the first Global Think Tank of this year's International Pastors &amp; Leadership Conference. Four spiritual leaders, who have had the ears of U.S. Presidents, joined White House correspondent April Ryan for a discussion about issues, solutions, and the role of the church in the future of our country. It got real. It got animated. Even Bishop Jakes went from audience member to VERY active participant in this all too critical conversation. Monique Pressley wears many hats: lawyer, entrepreneur, minister. She's a strong advocate for justice reform and believes strongly in empowering women with a spirit for being their own boss. Our far-ranging conversation covers her rise to fame as part of Bill Cosby's legal team to her role as a minister and entrepreneur. April Ryan has spent her career as a journalist and White House correspondent bringing the news to her readers. But lately she has been in the news quite a bit as a subject, not the creator. 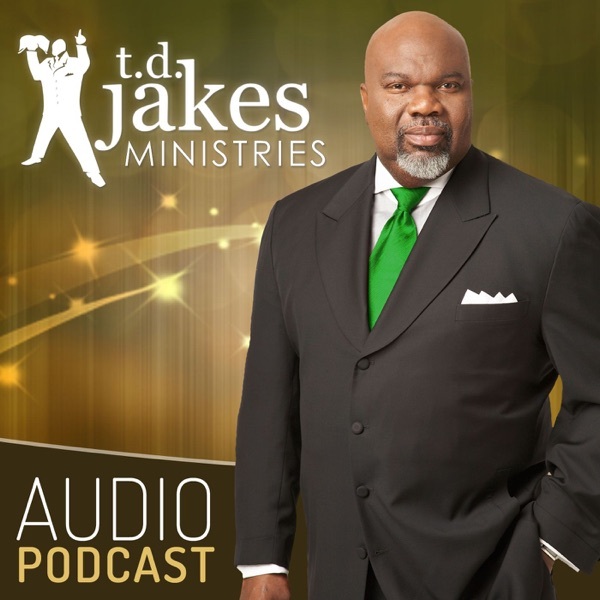 In this conversation TD Jakes and April Ryan cover everything from her recent altercations with Sean Spicer, to how she is managing to raise young, capable, black girls in today's society. One bullet physically divided a community and ripped it apart but for Robbie that bullet represented something else. He was one bullet away from fulfilling his lifelong dream to become a professional baseball player and unknowingly one bullet away from his destiny to become an international figure of social justice. Sometimes destiny surprises us in ways we would have never imagined. Pastor Steven Furtick: Is The Church The Only Institution That Struggles for Diversity? One of my passions right now is bringing the generations together.&nbsp; There is a considerable gap, made even wider by the illusion of being “connected” via social media when we are not truly reaching out to each other.&nbsp; Making an effort to genuinely connect will empower our younger generation to face the societal challenges of today with the wisdom of those who fought the great fight before them.<br><br>In this episode, I speak with my friend and spiritual father, Bishop Sherman Watkins. Bishop Watkins was a critical influence in my life upon the premature death of my Dad when I was 16. His watchful eye and consistent tutelage during those formative years were the catalyst through which I escaped being a statistic too often seen in underserved communities. His marriage of 43 years inspired me as a husband and gave me the perseverance needed in rearing my children. Our intergenerational experiences have helped many today to identify voids and fill them when found.<br><br>Mentorship is important and can be the deciding factor between a young person achieving greatness and feeling lost without purpose. Listen to Bishop T.D. Jakes from The Potter's House.